The historic, lethal and combat-tested AC-130 gunship — known for attacking ISIS and Taliban fighters during close-air support high-risk combat missions — is getting a massive technological upgrade with newer weapons and avionics to increase the effectiveness of the attack platform and extend its service life into future decades, service officials said. 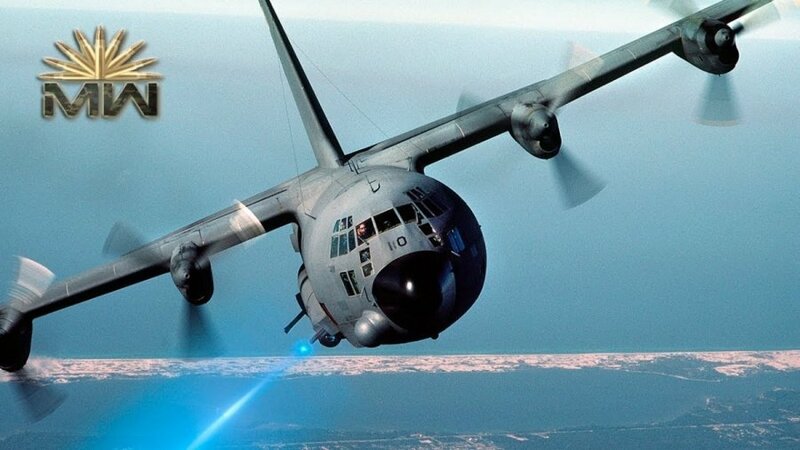 “AC-130 gunship work involves upgrading the plane with weapons, targeting systems and sensor packages,” Col. Robert Toth, Chief of Tactical Aircraft, Special Operations and Combat Search and Rescue Division, told Scout Warrior in an interview. Early variants of the AC-130 gunship first entered combat in the late 1960s during the Vietnam war. Later variants served in the Gulf War, War on Terror and war in Afghanistan, among other missions. The gunships, operated by both the Air Force and Special Operations Command, are often used to support Special Operations fighters on the ground engaged in combat. The aircraft is known for its 105mm side-firing cannons which enable it fire from a side-axis position during close-in combat supporting ground troops. The AC-130 Gunship also has a 25mm Gatling gun and a 40mm weapon, according to Air Force statements. The Lockheed-Boeing built aircraft uses four Allison T56-A-15 turboprop engines, each with 4,300 shaft horsepower; the 155,000-pound aircraft has a 132-foot wingspan and hits speeds of 300 miles per hour. Its crew consists of a pilot, co-pilot, navigator, fire control officer, electronic warfare officers, flight engineer, TV operator, infrared detection operator, loadmaster and four aerial gunners. The AC-130 “Spooky II” gunship is a standard C-130 transport aircraft engineered for close-air support combat. Its 105mm gun, called a M102 Howitzer, fires 33-pound high explosive shells at a firing rate of 10-round a minute, according to a report in Popular Mechanics. The weapon has a range up to seven miles and is the largest gun ever operated from a US Air Force aircraft, the report said. The aircraft’s 25-millimeter Gatling Gun, the GAU-12, is the same weapon now on the F-35 Joint Strike Fighter; the weapon fires both High-Explosive-Incendiary and Armor Piercing-Incendiary rounds against enemy fighters, buildings and light vehicles, Popular Mechanics writes. In a recent attack, AC-130 gunships and A-10 Warthog close-air support aircraft together destroyed an ISIS fuel convoy of more than 100 vehicles. The AC-130 gunships make up a small portion of a fleet of roughly 500 C-130 planes throughout the Air Force and Special Operations Command, Toth explained. The cargo planes are used to airdrop supplies, equipment, weapons and troops in forward deployed locations. As a propeller-driven aircraft, the C-130s are able to fly and land in more rugged conditions and withstand harsh weather such as obscurants. The propellers make the aircraft’s engines less susceptible to debris flying in and causing operational problems for the engines. “It really allows you to do that tactical movement of equipment and personnel to take the airplane to the last tactical mile. A lot of our transport strategic airlifters are meant to go to a hard runway to a hard runway somewhere and then they turn over the cargo to be moved to the forward areas to a C-130 or a vehicle. The C-130 allows you to take that cargo and land on a smaller runway or an unimproved airfield,” Toth added. C-130s are used for domestic, international and warzone transport including homeland security, disaster relief and supply deliveries, among other things. “There are probably missions that have yet to be dreamed up for the C-130,” Toth said. The fleet consists of 135 more modern C-130J aircraft and 165 older C-130Hs which have been around since the 80s, Toth explained. Also, MC-130Js are specially modified airlifters engineered to transport Army Green Berets, Navy SEALs and Army Rangers. “They are essentially a C-130J further modified with defensive systems with radar countermeasures and infrared radar and advanced sensors for specialized missions. They also can perform in-flight refueling,” Toth explained. The Air Force remains vigilant about its C-130 fleet to ensure the airframes, wingboxes, avionics and communication systems remain safe and operational. This is particularly true of the older 1980s-era C-130Hs, Toth added. “The thing that causes the greatest risk to the airplane is the life of the wing. We monitor the wing of the aircraft and as the wings get past their service, life we bring the airplanes back in and bring in new structures — with the primary focus being the center wingbox which is the area where the wings mount to the fuselage,” Toth said. As for when a C-130 is in need of a maintenance upgrade to preserve and maintain service life, the Air Force uses an assessment metric referred to as “equivalent baseline hours.” The wing-boxes are changed once the aircraft reaches a certain “severity factor” in its operational service time. This is necessary because the wear and tear or impact of missions upon and airplane can vary greatly depending upon a range of factors such as the altitude at which a plane is flying, Toth said. “Low-level flight may be three to four times the severity factor of flying at a higher level,” he said. Also, by January of 2020 the entire fleet of C-130s will need to comply with an FAA mandate and be equipped with systems that will relay aircraft position to a greater fidelity back and forth between the airplane and the air traffic management authorities, he added. This will allow them to sequence more aircraft closer together and enhance an ability to move commerce. Avionics Modernization Program, Increment 1 involves adding new 8.33 radios to the aircraft to improve communication along with initiatives to upgrade cockpit voice recorders and digital data recorders. C-130s will also receive new collision-avoidance technology designed to prevent the planes from hitting terrain or colliding with one another mid-air. Inc. 1 is currently ongoing and is slated to complete by 2019. AMP Inc. 2 involves a larger-scale effort to integrate digital avionics throughout the airplane. Inc. 2 will require nine-months to one year of work and be completed by 2028, Toth explained. “This will allow us to bring the airplane from analog to digital, integrate a glass cockpit and use touchscreen displays. We will get away from the old systems of avionics where we had dial-driven instrumentation to where it is all digital. This makes us able to process a lot more information,” Toth said. As part of the C-130 modernization calculus, the Air Force will consider retiring some C-130Hs and replace them with newly-built C-130Js; the service has authority to acquire an additional 20 C-130Js, Toth added.